Chicken Enchiladas with Poblano Sauce | Healthy. Delicious. Shredded chicken enchiladas covered in a mildly spicy, creamy poblano sauce. Make plenty, because they’re even better the next day! After breaking the blender in with a batch of frozen margaritas, I settled down and decided to make some actual food. 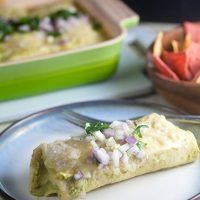 These enchiladas covered in a mildly spicy, creamy poblano sauce, were inspired by some that I recently had at a restaurant. 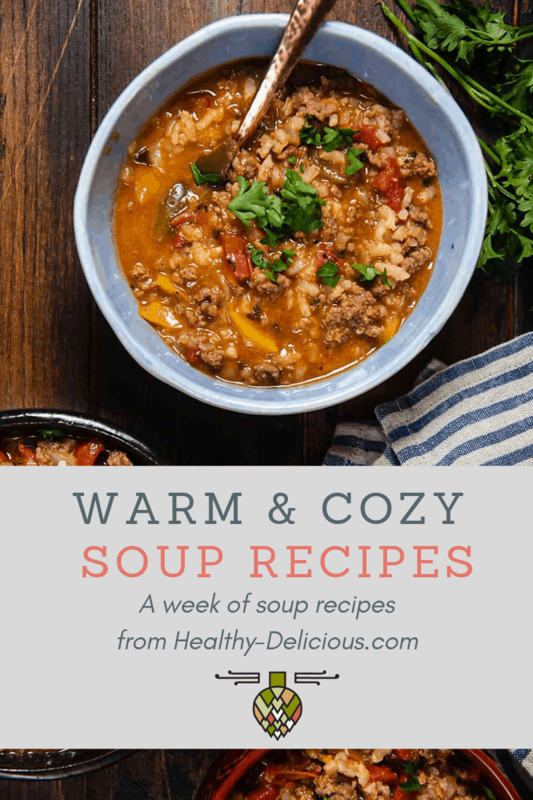 The sauce whips up easily in the blender while the chicken cooks on the stove, then it gets popped into the oven just long enough to melt some cheese on top. I was really excited by the idea that the Vitamix is so powerful that it can heat food up, so I used it to get my sauce piping hot. Since most blenders won’t be able to do that, you can transfer the sauce to a pot and heat it up on the stove, or add another 15-20 minutes to the baking time to ensure that the sauce is heated through. I prepared the poblano sauce for these enchiladas in my vitamix, but you can also use a regular blender or food process. Just puree the ingredients until smooth (juice the lime instead of adding it whole) and heat the sauce in a pan until warm. I added a jalapeño because I like things spicy, but you can leave it out if you don't want the extra heat. Heat your oven to 350ºF. Rub the chicken breasts with chili powder. 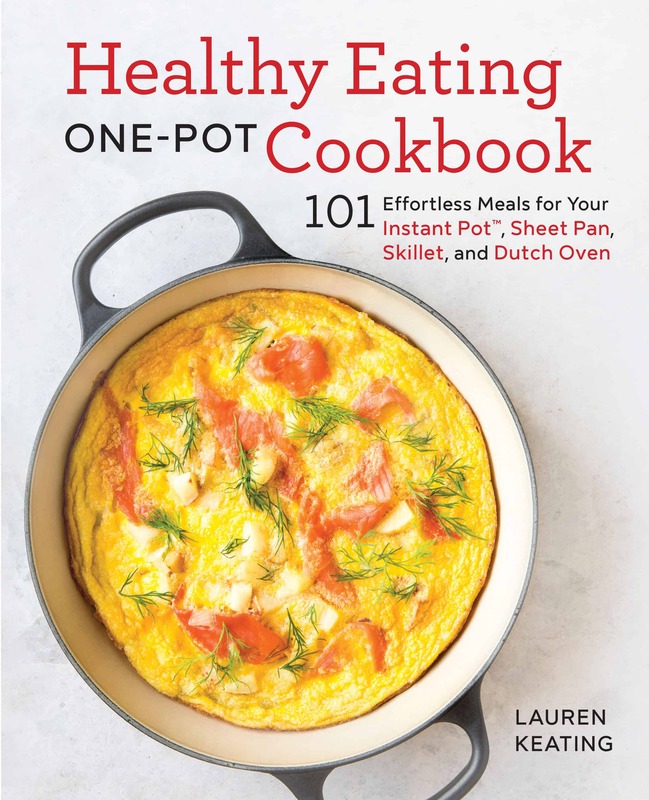 Heat the olive oil in a large, deep sided skillet. Add the chicken and cook until just browned, 1-2 minutes per side. Add the chicken stock and let the chicken simmer for 10 minutes or until cooked through and the liquid has reduce to about 2 tablespoons. Cool and shred. Pour about 1/2 cup of poblano sauce into the bottom of a baking pan. Divide the chicken between the tortillas and roll; place into the prepared pan. Pour the remaining sauce over the enchiladas. Top with cheese. Bake for 10 minutes or until cheese is melted. Top with finely diced red onion and jalapeno, if desired. For anyone who wanders here from Google, this recipe is not good. Sorry. I love poblano sauce, but this is way too thin and just makes soggy tortillas. Also, did they buy bots to leave good comments? No, I definitely didn’t pay “bots” or anyone else. I’m sorry the recipe didn’t come out for you. I’m not sure why your sauce was thin – it should be around the consistency of heavy cream, maybe even a little thicker than that (and reduces further in the oven). Did you substitute any ingredients or use fat-free sour cream instead of light by any chance? I loved the flavor of the poblano sauce, but thought it was too thin, and made too much. Maybe I did something wrong. Next time I will reduce the amount of chicken broth or maybe thin it some. Delicious, though! I meant to say thicken the sauce, not thin it! Any ideas about making these ahead? I want to have them for a big party at 3pm. Could i assemble them the day before, put them in the fridge and then heat them the next day? I actually just made these last night (came across the recipe on Pinterest) and they are absolutely amazing! The only thing I did differently was add a little Adobo seasoning to the chicken while it was cooking! The only other thing was that there was definitely an excess of poblano sauce… which was so tasty so that wasn’t even a problem! Thanks for a great recipe! Love this but double the poblanos and try it! sounds great! Glad you like the recipe. I’ll bet these really are better the next day. I love recipes like that! Love that creamy sauce! Your enchiladas look amazing, Lauren! roommate! He always kept talking about this. I am going to send this information to him. 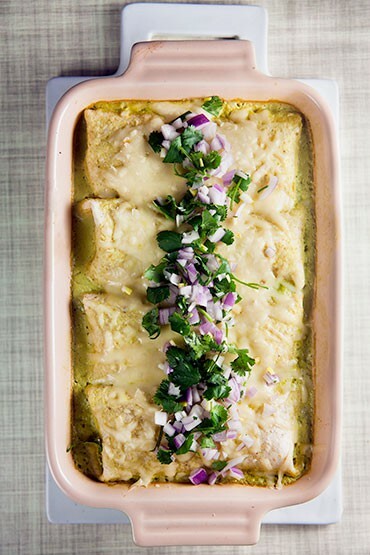 I do not drop many responses, but i did some searching and wound up here Chicken Enchiladas with Poblano Sauce – Healthy. Delicious.. And I do have a few questions for you if you usually do not mind. you will have to go in for solutions that won’t only allow you to receive the cash but in addition protect your reputation inside process. Made there (alas, sans Vitamix) with poblanos that I roasted first. I could not find green chili powder so just used cumin, onion and and garlic powders. Very yummy and boy did the house smell good! So want a Vitamix! These look delicious! Is it right that you only use 3 tortillas for 8 servings? oops- I meant to fix that before I hit publish. It should be 8 tortillas (and I did use 8 to calculate the nutrition information – that’s when I first found that typo). Thanks for bringing that to my attention! I would like to drink that poblano sauce with a straw. Also, owning a Vitamix is a life goal of mine. A big one. Can’t wait for the giveaway! These look so good and I like the sound of that poblano sauce. Now only if I had a vitamix to help make it. . .
Enchiladas are one of my favorite weeknight meals. I’m looking forward to trying this version. Can’t wait for the giveaway! Oh my WORD, that poblano sauce sounds amazing! 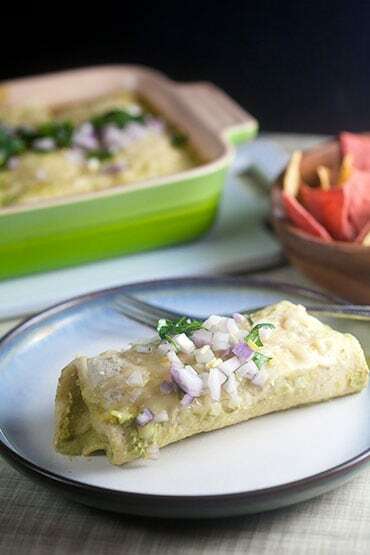 I’m dreaming of these enchiladas with a margarita on the side and hot chocolate for dessert (clearly I need to get my hands on a Vitamix, stat ;)). This looks yummy! I’ve had my Vitamix for . . . well more than a dozen years for sure . . . and I’ve never made hot chocolate or enchilada sauce in it. So thanks for that! You need to make the hot chocolate ASAP. It’s amazing! Your recipe calls for enchilada size tortillas but the ones that show in our photo look bigger than regular corn tortillas and maybe they are flour tortillas..can you please clarify. Thanks! I’m pretty sure I could tackle that whole pan all by myself .. wowzers! I’m a big fan of enchiladas! Delicious! Mmmm I love enchiladas, especially during the winter when I want something comforting! Great recipe. You can’t go wrong with a great poblano sauce. 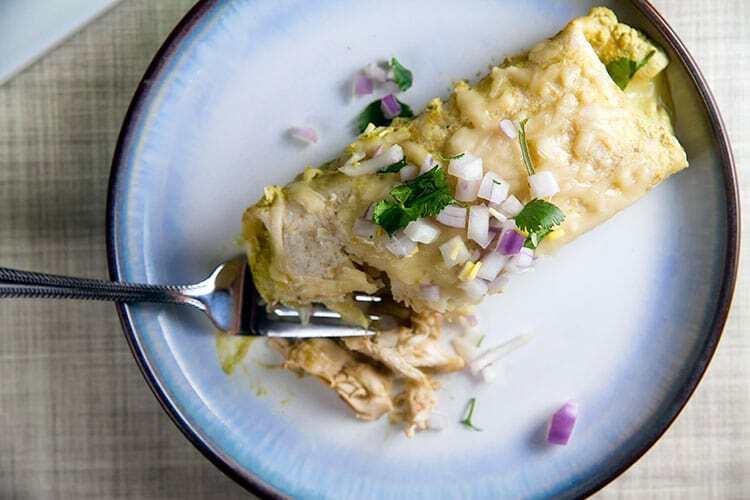 I love chicken enchiladas also Ali, I am going to make this tonight with my daughters, I am so excited to see how my dieting group likes this. I love the chili power on this recipe, chicken is also great for weight loss so I think my group is going to love this.